Recruitment Archives - Page 6 of 7 - Powerhouse Talent Inc. According to a Manpower Group Global Talent Survey, 40% of employers report significant talent shortages. This figure has continued to rise since 2007. Sectors experiencing the hardest hit include information technology, sales, and construction. Nearly a quarter of respondents report a lack of available applicants as being a key reason for their talent challenges. There is a global war for talent! Savvy employers are becoming more strategic in their talent attraction efforts and spend. According to LinkedIn, 59% of global recruitment leaders are investing more in their employer brand. How can an employer brand help in the war for talent? Employer branding creates a pull strategy. This means less chasing and more building awareness of who you are as an employer, thus prompting talent to come to you. A job posting only impacts active candidates in market. Carving out a comprehensive employer brand strategy allows employers to impact the recruitment funnel at every stage. This means both active as well as passive candidates begin building awareness of who you are, which cultivates the ever sought after “know, like, and trust” factor. Employer branding plants a seed with passive candidates and when the time is right, they come to you. Post and pray as a strategy is one dimensional recruiting. You have an epic story to share! Don’t limit your reach and your talent pool. For more information on our employer branding programs, click here. A long time ago in a job market far, far away, the candidate pool was plentiful, job seekers eagerly awaited the calls of search professionals, and there was greater balance in the universe. Fast forward to today’s war for talent and you will find many disciplines suffering massive global shortfalls of qualified professionals. Information security is one extreme example of the talent imbalance that exists in today’s marketplace. This specific skillset is expected to experience a global shortfall of approximately two million professionals by 2019 (UK House of Lords Digital Skills Committee). What does that have to do with your careers site? Many employers are not reaping the benefits of this prime storytelling medium (their careers site). Some may integrate an applicant tracking system (ATS), post some generic copy, stock photos, and call it a day. The problem with this approach is what should be a powerful branding tool has left no impression on the job seeker. With no distinct visual identification, candidates will struggle to recall what generic stock photo they were looking at. There was an opportunity to impact every stage in the recruitment funnel, however this opportunity was sadly missed. A great test to see if your site has limited distinctiveness, thus poor brand recall, is swapping out your logo for a competitor. Could you interchange logos with ease? If so, your site lacks personality and an identity of its own. Know your “why”– I often say, the foundation of your Employer Brand is your Employee Value Proposition (EVP). Your career site is simply the paper (or kindle) to your Employer Brand story. (you can read more about this mindset here). If you don’t know your “why” and have carved out a comprehensive Employer Brand strategy, then you are missing critical foundational elements that yield trust, as well as an almost instant storyboard and natural flow of your site design. Lose the corporate speak– Do you sound like a corporate drone? If candidates wanted an executive summary, they would read your annual report or check out a press release. It’s time to speak “human”. The degree to which you “humanize” your careers site copy will depend on your industry and brand personality. Regardless of sector, the tone needs to be people centric. Be memorable and show personality- “In a busy marketplace, not standing out is the same as being invisible” – Seth Godin. Many organizations stay in a more neutral position for fear of making waves. Bold positioning does not necessarily mean being controversial. What it does mean is that you are more likely to have your message truly resonate with your target audience and push them further down the recruitment funnel. Take a stand, have a voice, wackiness and all. Show what makes you…you. No stock images– Since we are being so authentic, let’s use images of your actual employees. Not models or stock images that are as artificial as the tooth fairy (don’t tell my kids). There is a time and a place for stock photography. A careers site is not it. This is a human experience. Show your humans. Ensure responsive design– Did you know that 50% of smartphone job seekers completed their application on their phone? If you are not building responsive design into your plan, you are being short-sighted as this number will only increase. Consider single page scrolling vs a multipage environment– Single page career sites are great for storytelling and sharing the visual narrative. 37Signals found that a single page design led to 37.5% higher conversions. Applying the same logic to application conversions, one could argue the simplicity and “one stop shop” for candidates can translate into more submissions. UX leads to amazing CX– While that sentence almost sounds dirty, we are talking about candidate experience. A great candidate experience begins with a well-designed user experience, as the career site is a material stop on the candidate journey. Having a user centric approach to the design will help you to delight your user and continue the momentum as the candidate journey advances. Add a blog- Blogs are a great way to humanize the careers site if the content is employee generated. Blogs not only foster employee advocacy but also help from an SEO perspective. Each back end optimized blog post with keywords, tags, etc. amps up your SEO juice helping the site rank higher in searches. Integrate an Instagram feed– This adds instant humanization and spirit to your site. Integrating visual social feeds like Instagram provide you with instant and timely photos documenting the employee experience. They quickly build the “know, like, and trust” and it helps keep visual content current. Power to the people– Have your employees help with content contribution. Employee testimonials are powerful storytelling tools. Keep the quotes short (use long form content in blogs). Ask employees to share their favourite part of working for your company or a fun fact about their team. You will get a mixed bag of responses ranging from professional growth to a little-known competition for an ugly frog trophy. Share the spirit of the company, the rituals, and the wackiness. Place the content on a rotating testimonial carousel for added visual interest. There are TALENT WARS out there. Your careers site can be your lightsaber, your most powerful and trusted tool. How are millennials changing corporate workplace culture? originally appeared on Quora: the place to gain and share knowledge, empowering people to learn from others and better understand the world. Many organization like to control and approve every message. Build a culture of employee pride and good judgement, liberating your employees to share the journey through their eyes. The development of an employee advocacy plan can help ease concerns of leaders and ensure effective systems are in place for an authentic voice to be heard while mitigating the fear of needing to do “damage control”. For more information on employee advocacy planning, hit us up at 416 333-4907 or info@powerhousetalent.ca. We love sharing our knowledge. Peace, Love, & Meaningful Careers! In an ever-increasing war for talent, recruiters are working hard to sell employers’ brands. A company’s reputation can affect whether candidates accept job offers, or even apply in the first place. In fact, 69% of job seekers say they won’t apply to a company with a bad reputation, even if they’re currently unemployed. Searching for a job can be exhausting. Candidates have to screen through hundreds of job postings, hoping to find that perfect job that matches their skill sets and their values, giving them a sense of purpose beyond just making ends meet. The tasks of work are simply more enjoyable when one knows they’re contributing to a higher purpose. These days candidate experience optimization is getting a lot of much needed attention. With more and more companies investing in their employer brand (59% of employers are investing more this year- LinkedIn), organizations are evaluating the candidate journey to help ensure it does not erode their investment in brand. Sadly, there is a forgotten population, the internal candidate. This population has been deemed “safe” by some who like to drag their feet. Planning to promote someone or move them to a juicy new mandate? “Don’t worry, they are internal and not going anywhere”. Thus, the process takes much longer and likely with limited communication. Savvy employers don’t make this mistake, especially after investing in their employer brand strategy. They are committed more than ever to a great candidate experience for internal and external candidates alike. They know their internal candidates matter and that unless they move with urgency, as well as have a focus on candidate experience, their brand investment is eroded and their employee flight risk status is elevated. I recall having dinner with friends one evening and discussing this very issue. My friend, a high-potential leader in her organization, was told she would move into her former boss’s role. What came next? Crickets. Weeks turned to months before she finally got any word on next steps. What some employers may not realize is that internal candidates have options and impact your employer brand, as well as your reputation. They may have been wooed by a competitor in the past. This courting may be ongoing. Their loyalty can only last for so long before they question the commitment on the other side, their company. Pop the question already! You know they can do the job or you would not have discussed the new position with them. You know they are a cultural fit as their service pattern validates it. So why do some employers dawdle? Because they have other burning priorities and do not see the silent risk sitting in front of them. As I continue my mission to build community at work, it’s great to see an increased emphasis on a humanized talent brand and enriched candidate experience, but don’t forget about the internal candidate sitting in front of you. They deserve the same first-rate journey as everyone else. In today’s highly competitive talent market, failing to pay attention to the candidate experience will cost you in more ways than one. For starters, there is your reputation that feeds your employer brand. There is the diminished pool of referrals thus leading to other potentially more expensive sourcing methods. There is also the inability to compete with multiple offers. If a few similar offers come in around the same time, may the best candidate experience win! 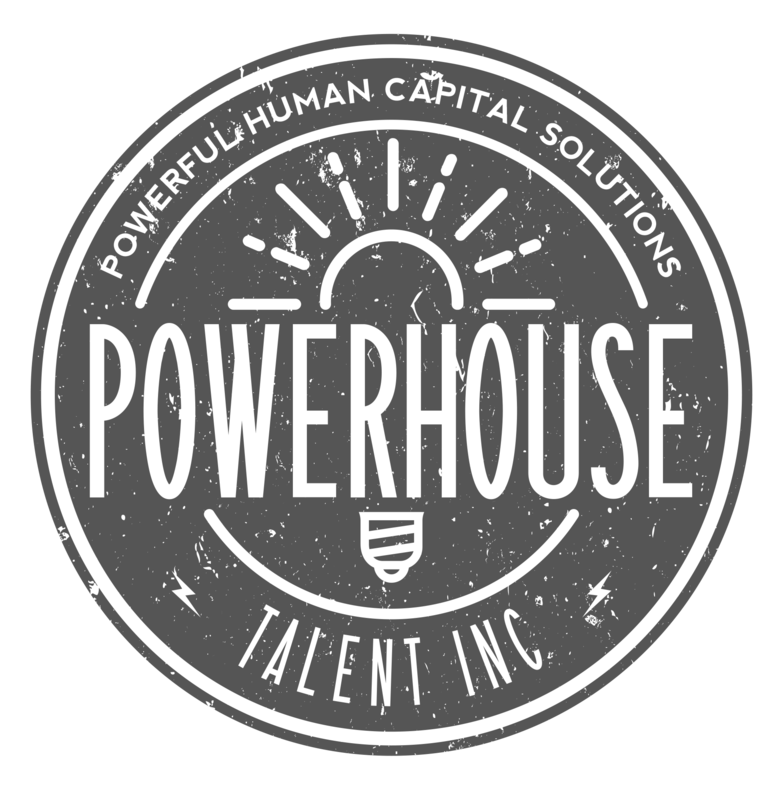 We at Powerhouse Talent also like to consider what is the right thing to do as a human being. Karma baby…we live by doing good. We look at the candidate experience from the perspective of the head and the heart. What do they need to know and feel to have an outstanding candidate journey? COMMUNICATION- Stay connected! Even if things have started to stall, communicate, communicate, communicate! Explain the process or what may be happening in the organization (a big conference, deliverable or exercise). A quick LinkedIn message, text or call can mean so much. Radio silence is not the answer. CONNECTION- Move over robots or drones… this is a human experience! Treat others the way you wish to be treated. Real connection builds interest. Are those involved in the talent attraction process building real relationships with talent or is your process like an assembly line? Candidates can feel the difference and will walk away. COMMUNITY- Be different and help them visualize life at your company! If your process is a multi-stage one, let one interview be more casual. Perhaps a walk around the neighborhood, grabbing a coffee or checking out the new employee lounge. Let the candidate experience life at your company, meet the team and see themselves working there. We all want to belong. Taking a break from a typical interview venue such as a boardroom helps breathe life into the process. Keep the three Cs top of mind and you will differentiate yourself from others who have forgotten the importance of being human in such a vulnerable experience. Looking to being a better candidate experience and employer brand? Check out our employer branding training program with lots of great insight into the candidate journey. LAND YOUR BRAND- Your employer branding training and blueprint.